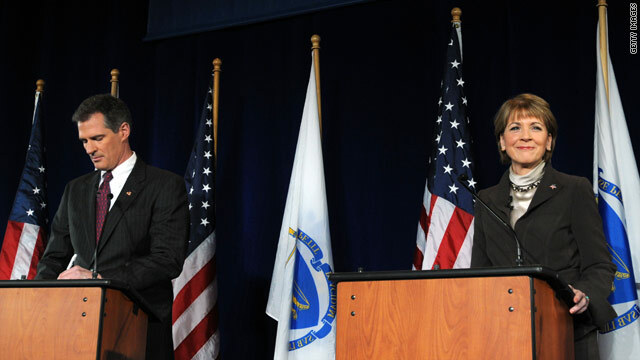 State Sen. Scott Brown and state Attorney General Martha Coakley prepare to debate last week in Boston, Massachusetts. Boston, Massachusetts (CNN) -- President Obama tried to rally voters behind the Democratic candidate Sunday in a surprisingly close Senate race in Massachusetts, a contest that could imperil his plans to overhaul the U.S. health care system. Obama flew to Boston to stump for Martha Coakley, who is trying to fend off a strong campaign by Republican state Sen. Scott Brown to keep the seat held for decades by liberal lion Ted Kennedy in Democratic hands. "We know that on many of the major questions of our day, a lot of these measures are going to rest on one vote in the United States Senate," he said. "That's why the opponents of change and progress have been pouring money and resources in the commonwealth in hopes of promoting gridlock and failure." Brown has pledged to vote against Democratic efforts to expand health care, which Kennedy once called "the cause of my life." A Brown victory would give Senate Republicans the votes to stop the bill through a filibuster, a tactic they have employed routinely since Democrats won control of Congress in 2006. Brown told supporters Sunday afternoon that electing him would be "a message that will be heard around the country." "I want to be the person to go down there and send the health care [bill] back to its drawing board, so they can do it better," he said. "And when they're talking about raising your taxes and they're talking about raising the debt ceiling and they're talking about all those things, at least we can debate it in a transparent manner, not behind closed doors." Polls published in the last week of the race show Brown and Coakley in a dead heat, worrying Obama and Democrats about the possibility of losing what once was considered one of their safest seats. Speaking at a Coakley rally at Northeastern University, Obama told state voters, "We need you on Tuesday." "Understand what's at stake here, Massachusetts," he said. "It's whether we're going forward or going backwards. It's whether we're going to have a future where everybody gets a shot in this society, or just the privileged few. If you were fired up in the last election, I need you more fired up in this election." Obama's remarks were briefly interrupted by a heckler who opposed Obama's support of abortion rights. The man was removed from the auditorium after the crowd drowned him out with chants of "Martha, Martha." And Vicki Kennedy, the late senator's widow, called on state Democrats to turn out to save her husband's legacy. Democrats outnumber Republicans by about 3-to-1 on the voter rolls in Massachusetts, a state Obama carried by 26 percentage points in 2008. But a Suffolk University/7 News poll released Thursday night indicated that 50 percent of likely voters backed Brown, compared to 46 percent support for Coakley. Another 3 percent of people questioned back Joseph Kennedy, a third party candidate running as a libertarian who is not related to the late senator. "It's extremely close in the most liberal, the bluest state in America," Senate Minority Leader Mitch McConnell, R-Kentucky, said on "FOX News Sunday." But White House spokesman Bill Burton told CNN, "The president is in Massachusetts today because he believes Martha Coakley is the right person for the job and indeed will be the next senator from Massachusetts." McConnell said even if Coakley wins -- paving the way for Democrats to pass the health care bill with a 60-seat filibuster proof Senate majority -- the close race shows that most Americans dislike the legislation. "I think the politics are toxic for the government either way. ... Whether it passes or it fails, it will be a huge issue not just in 2010 but in 2012." The seat is currently held by former Kennedy aide and longtime friend Paul Kirk, who was appointed to the seat on an interim basis after the 77-year-old Kennedy died of brain cancer in August. Massachusetts Secretary of State Bill Galvin, a Democrat, said this week that certifying Tuesday's election results could take more than two weeks -- potentially enough time to allow congressional Democrats time to pass a final health care bill before Brown is seated. Republicans blasted the timetable, accusing Democrats of trying to stifle the will of the voters. On Sunday, McConnell refused to speculate on a timetable, saying the election winner should be properly sworn in to reflect the will of the people. "I'm sure all the lawyers will be looking at this," McConnell said. Both the Coakley and Brown campaigns have raised large sums of cash in the past week and combined have spent well over a $1 million on television commercials. National party organizations as well as independent groups have also flooded the airwaves in the typically politically uncompetitive Massachusetts. Former President Bill Clinton held rallies for Coakley on Friday, while former New York City mayor and 2008 GOP presidential candidate Rudy Giuliani has teamed up with Brown. CNN's Paul Steinhauser, Alan Silverleib and Tom Cohen contributed to this report.